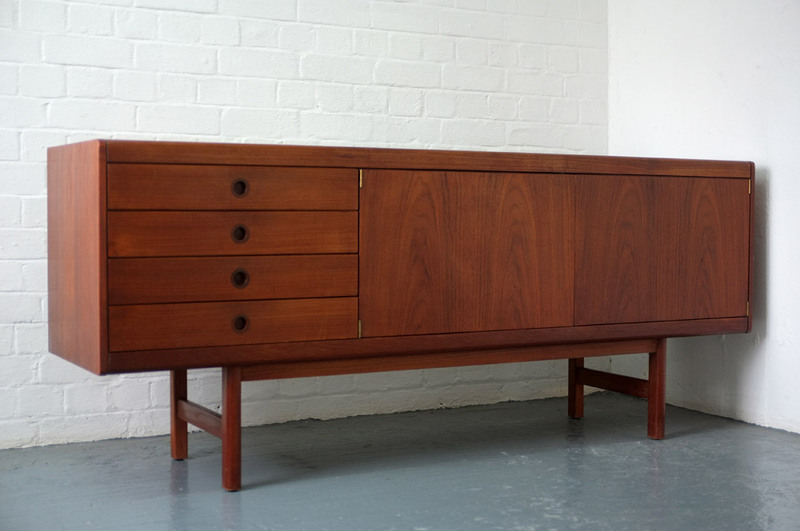 A beautiful sideboard designed in the 1960s by Robert Heritage for Archie Shine, UK. 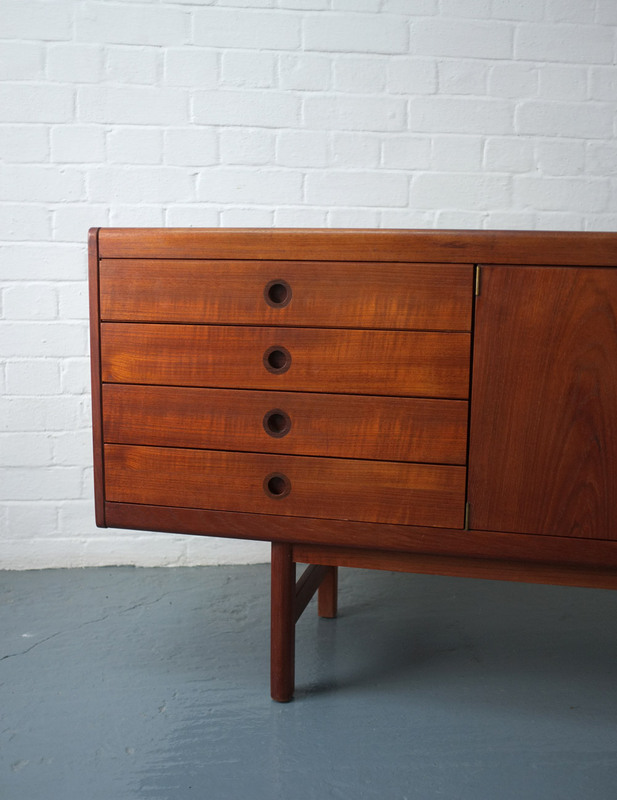 A very high quality piece of British design, originally sold through Heals and Harrods. 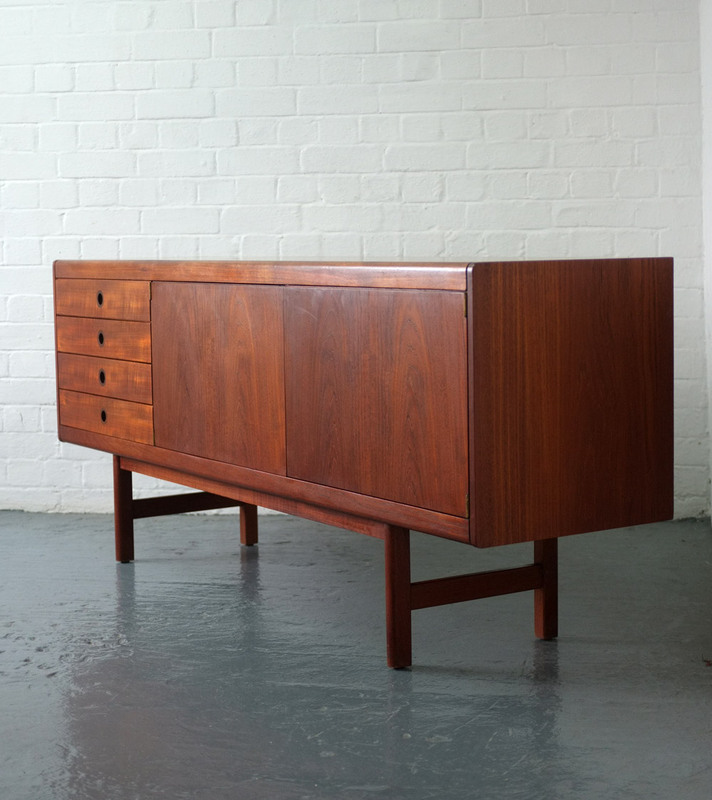 Beautiful dark teak carcass with curved edges, 2 doors to cabinets with shelving and four drawers with lovely recessed handles. 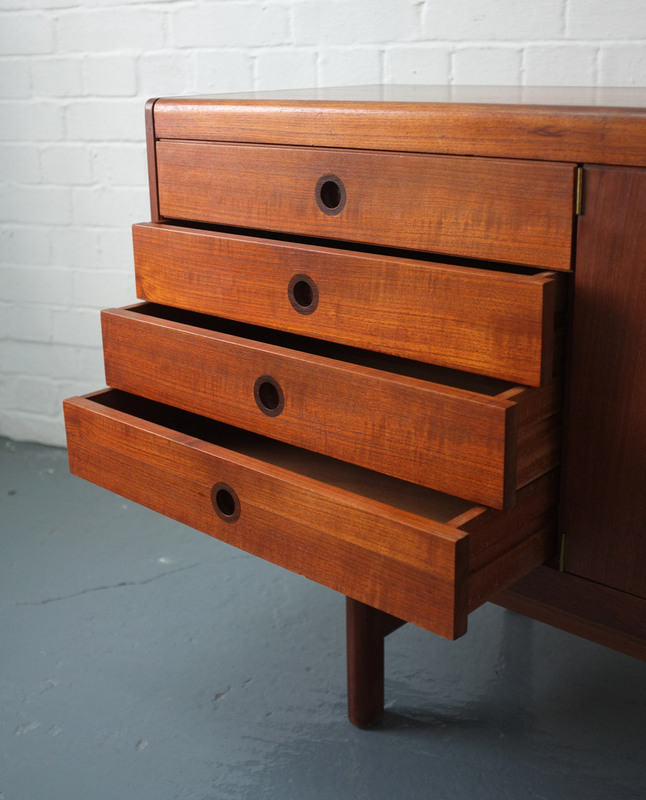 The top drawer has cutlery dividers and baize lining. In excellent original condition, very well looked after by one owner since new. 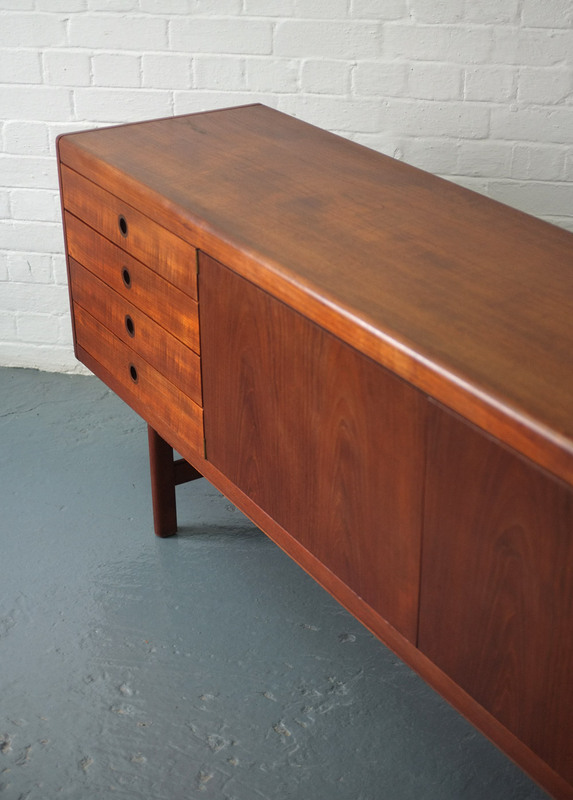 Nice deep teak colour with a couple of minor marks. 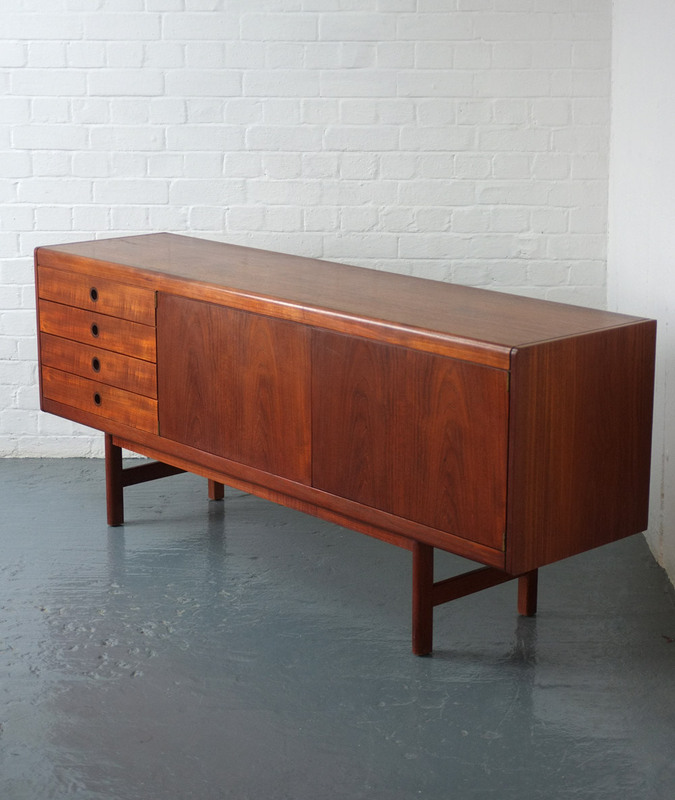 Dimensions:183cm long x 45.5cm deep x 76cm high.